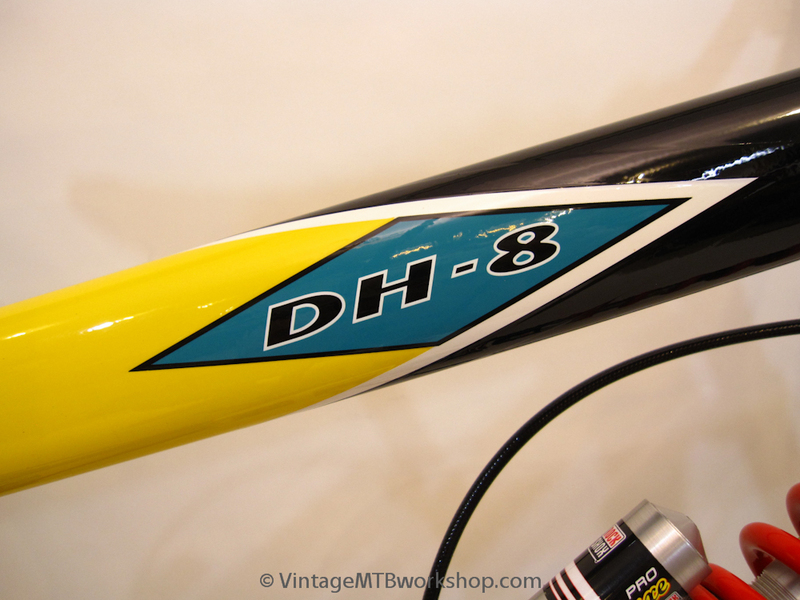 The DH-8 rear suspension was designed by Mert Lawwill and offered almost complete isolation while pedaling because of the use of parallel linkage. 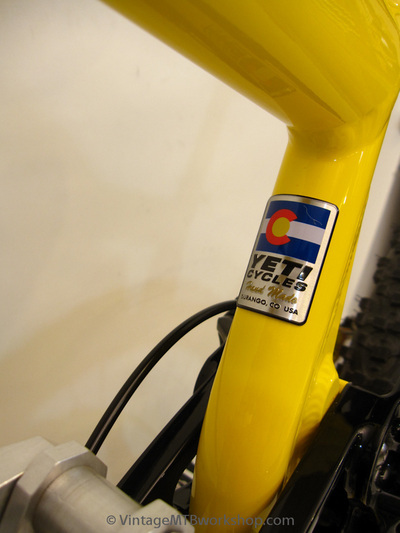 This was a significant feat for a bike with 8 inches of butter-smooth travel. 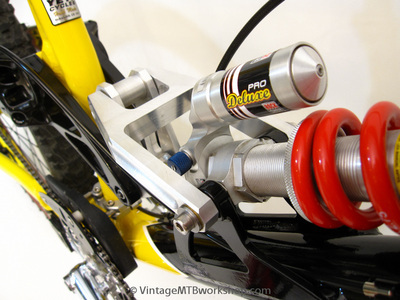 In fact, the suspension action was so smooth that an after-market progressive linkage was made available to keep the bike from bottoming out during hard landings. 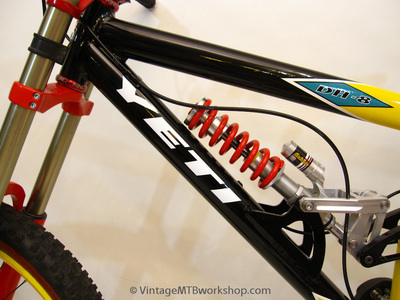 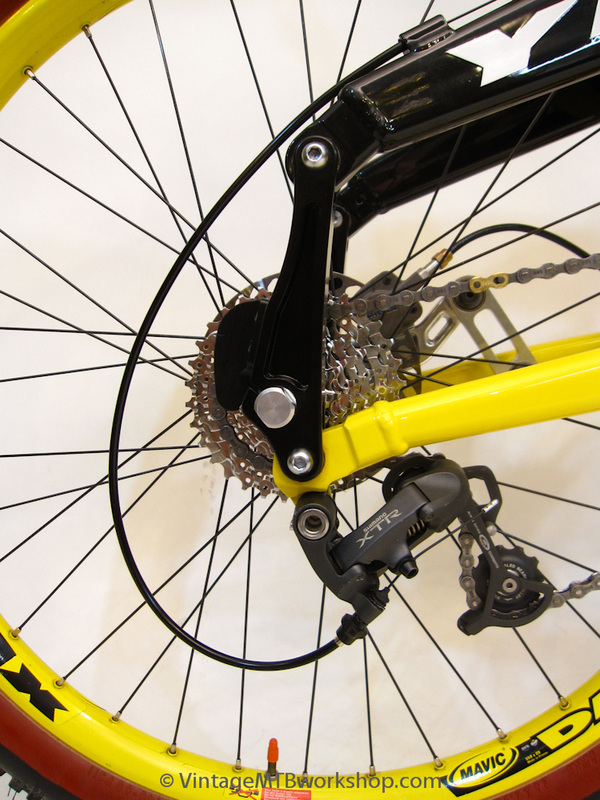 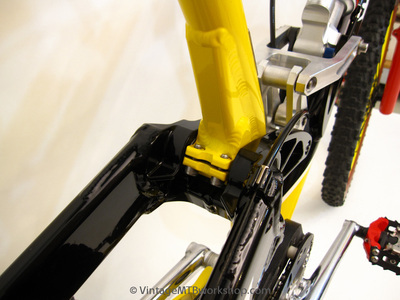 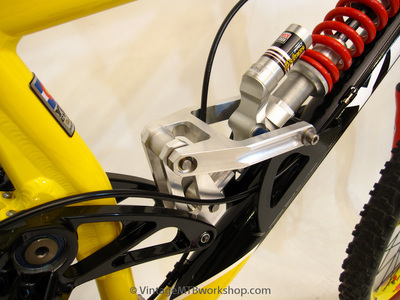 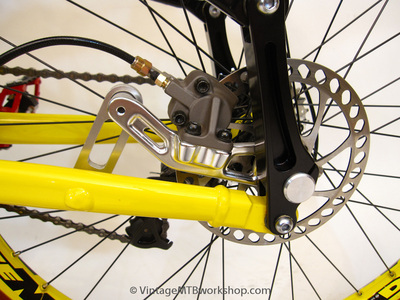 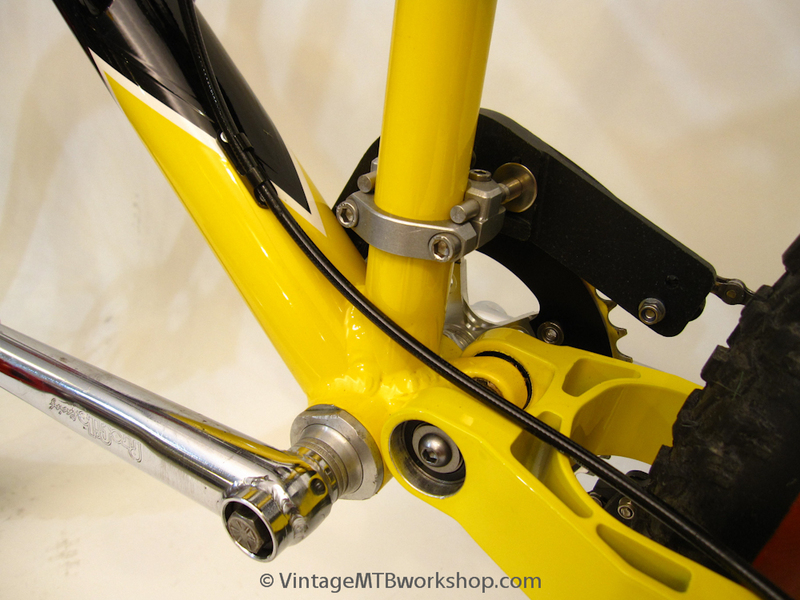 The multi-linkage suspension incorporated a rear through-axle in order to keep the rear wheel tracking properly. 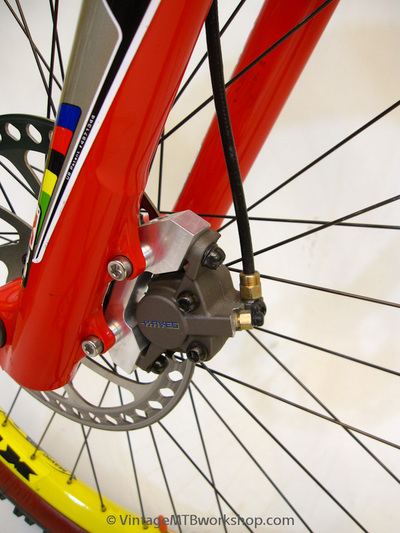 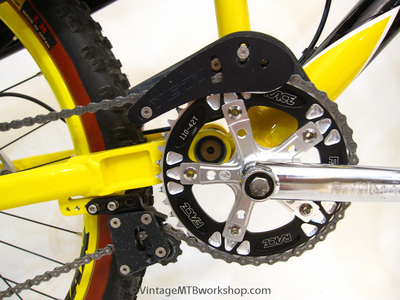 One drawback to the design was that the rear derailleur was placed well below the cogset, leading to slow or imprecise shifting performance. 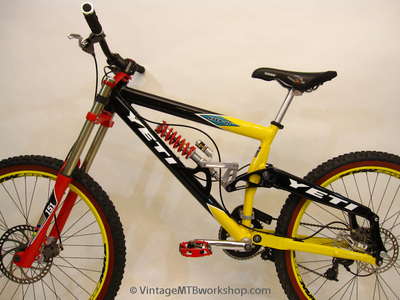 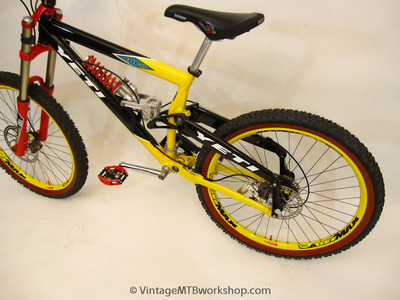 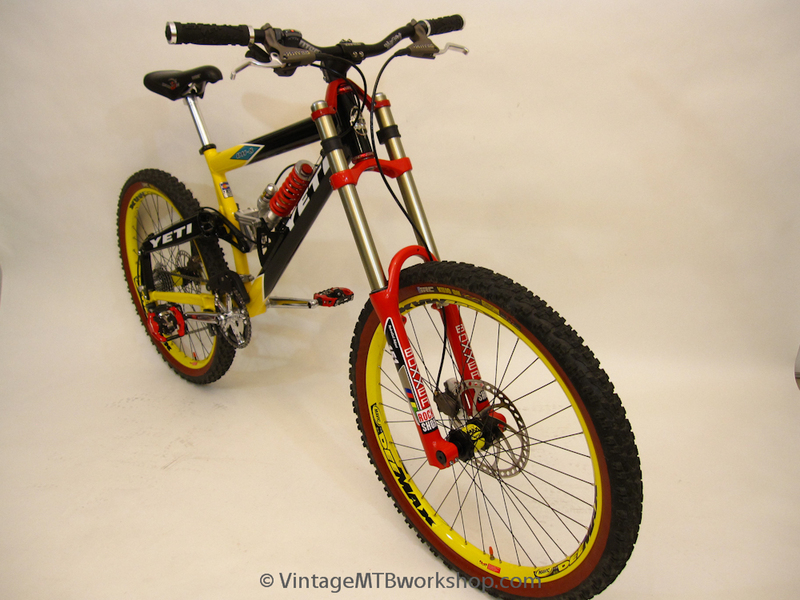 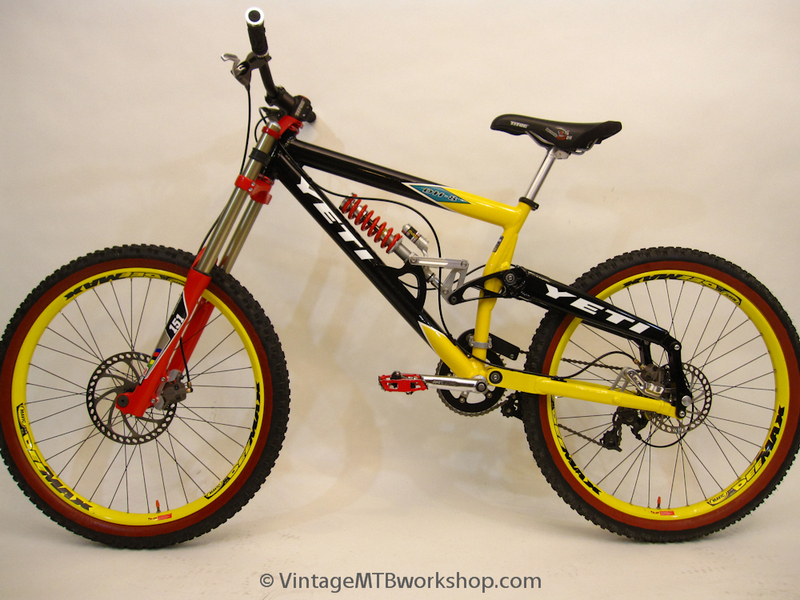 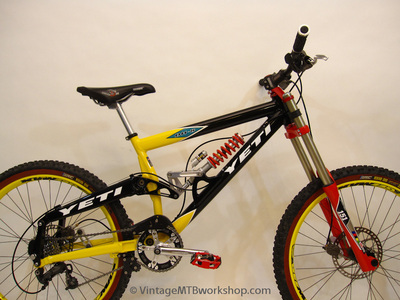 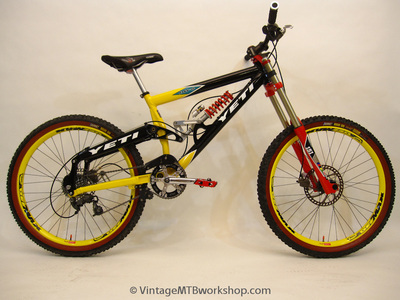 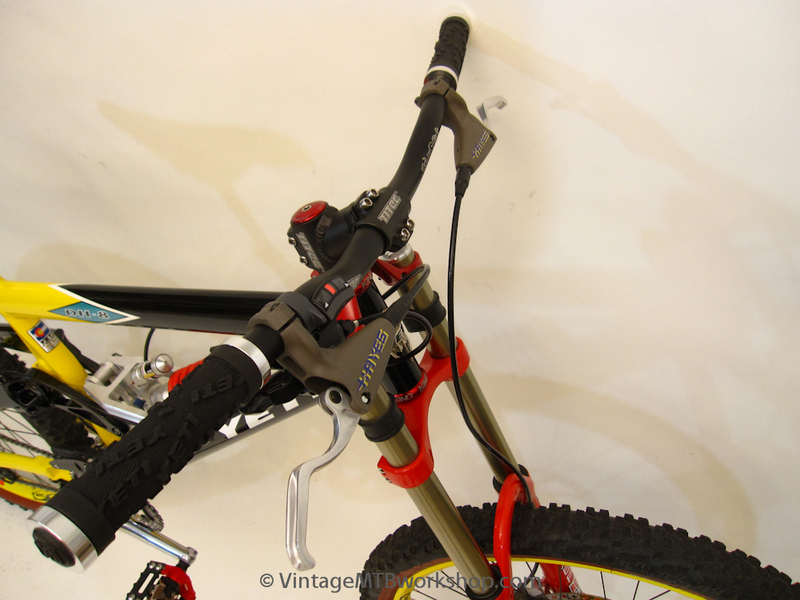 This example is built with a selection of period-correct downhill specific components. The rear DeeMax wheel was modified to work as a through axle. 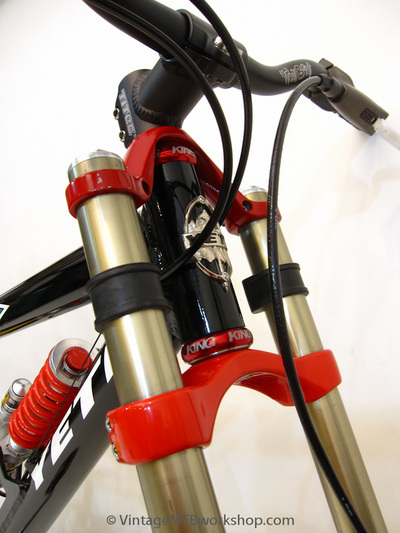 The progressive linkage was custom-made and is a beefed up version of the one offered by DKG. 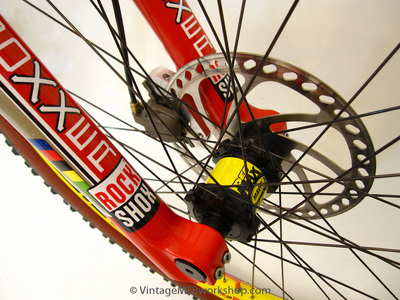 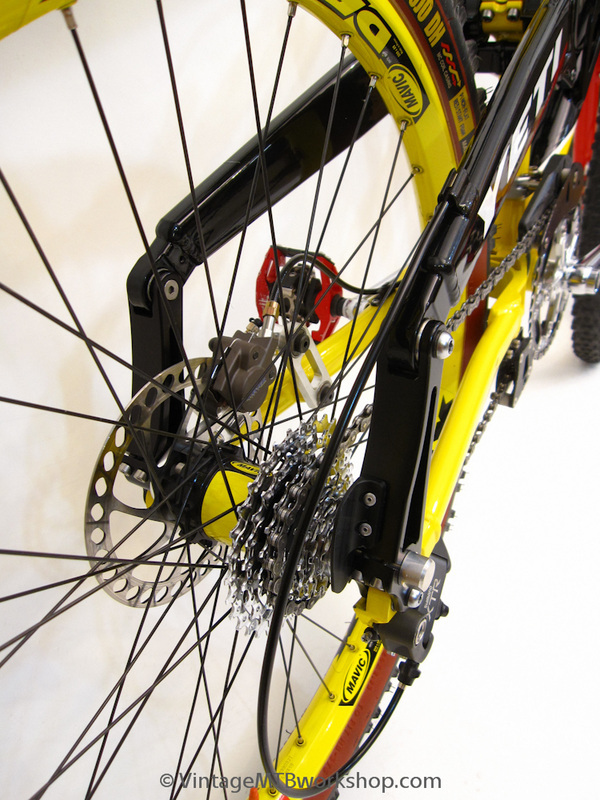 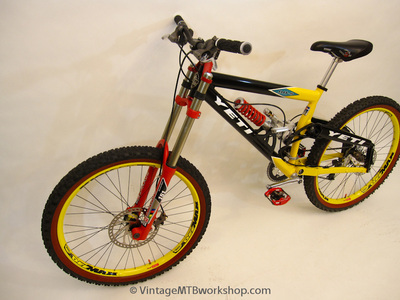 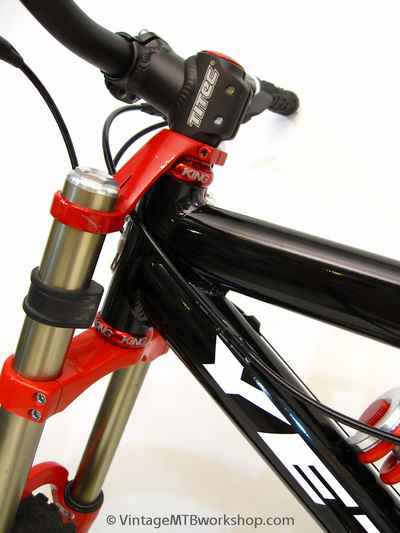 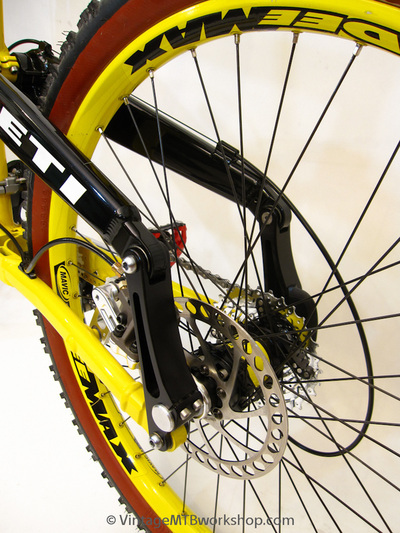 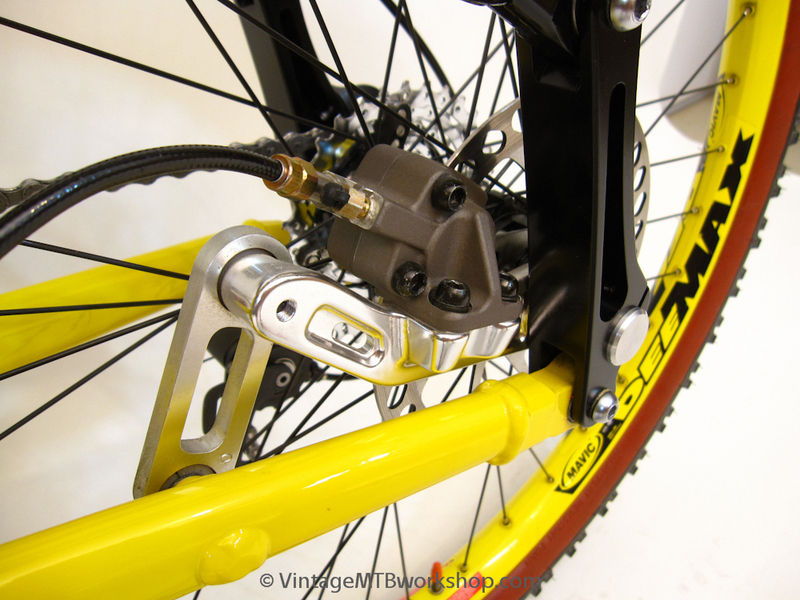 Front Brake: Hayes HFX Mag 8"
Rear Brake: Hayes HFX Mag 6"